Hanoi Eternity Hotel *** near Hanoi International Center for Exhibition ( Hanoi I.C.E ) 91 Tran Hung Dao Street Only 60 metres , Located in the heart of downtown Hanoi, the center of easy-to-access transportation links, I.C.E. Hanoi is built with heavy machinery exhibitions in mind. Its facilities and services will fit your needs to do business. Its open space enables your product display and booth designs to be accentuated in the eyes of your target buyers. Hanoi Eternity Hotel near and next door to Frendship Culture Palace only 60 metres (Huu Nghi Cultural Palace) Cung Van hoa Huu Nghi . 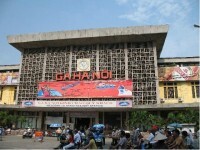 Opened in 1902, Hanoi Railway Station is one of the main railway stations on the North–South Railway (Reunification Express) in Vietnam. 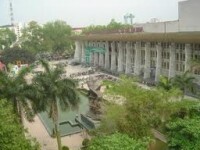 It serves the city of Hanoi. 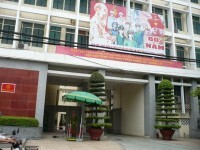 The station is located at 120 Lê Duẩn Street, Cua Nam Ward, Hoan Kiem District of Hanoi and is the starting point of five railway lines leading to almost every Vietnamese province.